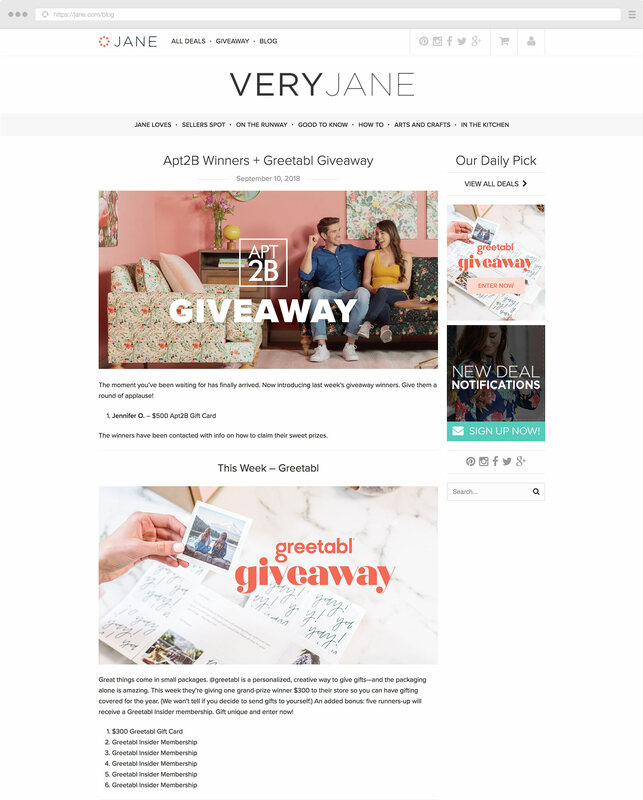 Take a Look at How Jane.com Has Driven Huge Site Traffic & Customer Acquisition By Using Gleam to Run Weekly Co-Branded Giveaways. By using Gleam to run weekly co-branded giveaways, Jane.com has been able to consistently and effectively raise awareness, generate leads, increase site traffic and ultimately drive sales. Add your prize, choose your actions. Embed on your site, all in under 3 minutes. If you operate in E-commerce then your success is largely contingent on your ability to generate new leads and drive action from them. There's no doubt that this is a challenge, but it's a challenge you can effectively overcome with the right strategy. There are many different techniques and tactics you can use to acquire leads and encourage action, but there might not be any which are as effective as running giveaways. Jane.com, an E-commerce marketplace, has achieved great success by running weekly co-branded giveaways which drive social actions and power consistent customer acquisition. With Gleam's Competitions app you can easily run your own giveaways and incentivise a host of powerful actions which will help spread your brand message and generate leads. We’re going to show you exactly how Jane.com used Gleam to drive customer acquisition and sales with weekly giveaways. In this case study we're going to show you how Jane.com acquire leads and generate sales by partnering up with other brands and running weekly giveaways. We'll even take you through how you can use this strategy to drive your own powerful actions, acquire new customers and achieve your own E-commerce goals without breaking the bank. Over the past decade, E-commerce stores have begun to play an increasingly prominent role in consumers' lives. 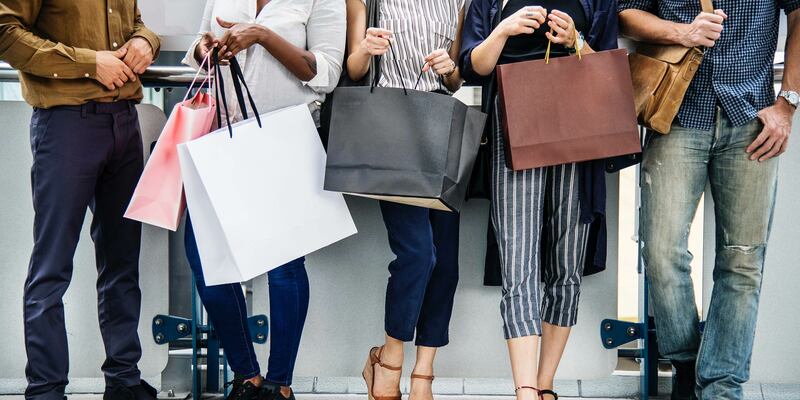 This has made it possible for small, boutique sellers to find sizeable audiences like never before, but the sheer number of online retailers vying for customers has made it challenging for brands to stand out from the crowd. This is where Jane.com comes in. 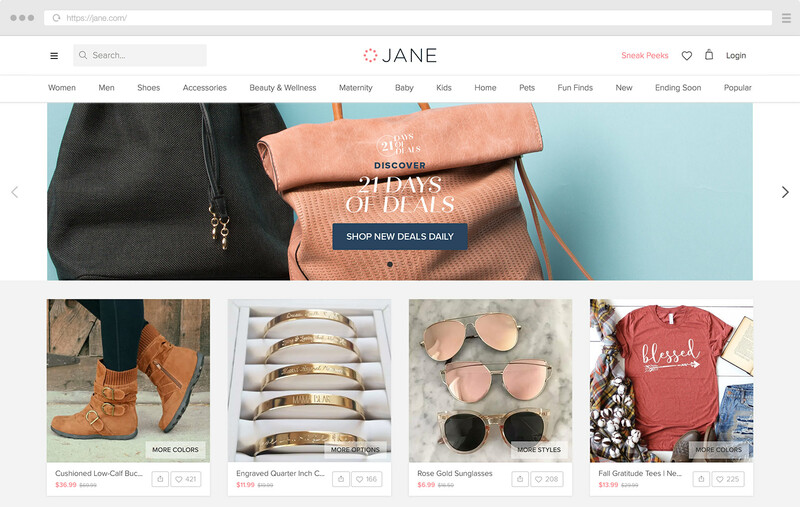 Jane.com is a boutique E-commerce marketplace for daily, 72-hour deals from online and brick-and-mortar retailers. We provide sellers with a platform to help grow their businesses and market affordable women’s fashion, home decor and children’s clothing to consumers at an affordable price. Since their conception in 2011, Jane.com have steadily grown into the perfect marketplace for online sellers and brick-and-mortar retailers alike to showcase their boutique stores, reach massive, attentive audiences and drive sales through discounts and special deals. Creating an opportunity for sellers has been huge. On our site they can make sales like they’re a big merchant. Jane.com has become the success that it is by building a platform for small businesses to reach new audiences and sell their products. However, for Jane.com to deliver on this promise they need to be consistently finding their own large pools of new, relevant customers. This is a challenge which Jane.com has deftly handled with a variety of tactics and strategies, one of the most successful being running weekly giveaways to promote their marketplace and drive action. Over the past few years, Jane.com has been able to consistently acquire new customers in droves by running weekly giveaways. These giveaways offer users the chance to win a prize by completing various actions which help expose Jane.com to relevant new consumers and grow their online following. Jane.com incentivises these powerful actions by giving away store credit to use on Jane.com and, in many cases, a prize from another brand they have partnered up with. We run weekly, co-branded giveaways and use Gleam as our host. Although they run giveaways on a weekly basis, Jane.com manages to keep their campaigns as engaging as ever by offering relevant and exciting new prizes from brands they partner with. Another way Jane.com has maintained high levels of variety and engagement is by aligning their giveaways with holidays and special events like Christmas, Valentine's Day, the 4th of July, storewide sales and more. This has allowed them to leverage their audience's excitement to raise interest for their giveaways and drive participation. The varied, fresh and exciting nature of Jane.com's weekly giveaways has played a huge role in the success of lead generation and acquisition. Another factor which has lead to the weekly giveaways generating leads and acquiring customers on a large scale is how well executed each of the campaigns are. Although Jane.com's weekly giveaways vary in prize and theme, they follow a simple and effective template and serve to fulfil the same core functions of lead generation and customer acquisition. 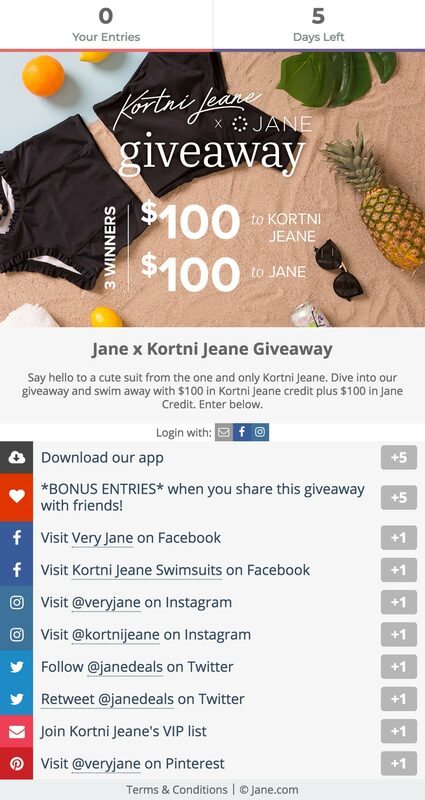 The actions Jane.com incentivise relate to following and interacting with them on social media or spreading the giveaway around with Viral Shares. These actions are all perfect for helping Jane.com drive customer acquisition. Getting users to check them out or follow them on social media allows Jane.com to grow their audience and promote their offerings to highly relevant users. The Viral Share and Retweet actions supplement these actions perfectly by encouraging users to share the campaign with other relevant users to increase awareness, participation and ultimately acquisition. Another action Jane.com have successfully incorporated into many of their giveaways is the App Download action. This is a powerful action because they can get users to download the free Jane.com app and encourage users to browse the Jane.com marketplace - effectively allowing them to drive sales on a new channel. We use giveaways as an acquisition play, so why not include app downloads as an option in addition to social follows? We see nothing but gain from it. Jane.com has been able to easily maintain consistency throughout their weekly giveaways by making good use of Gleam's Copy feature to duplicated actions and settings from previous campaigns and use a consistent giveaway template instead of having to start from scratch every time. This allows Jane.com to effortless run weekly giveaways with the same powerful actions. The only actions that Jane.com regularly has to change are those benefitting their sponsors, as when Jane.com partners up to run a co-branded giveaway they always include several actions dedicated to their partner. A key component of Jane.com's weekly giveaway strategy is regularly partnering with other brands. This strategy works by having a relevant brand provide a prize and promotional efforts in exchange for several actions in the giveaway and the extra attention the campaign draws to their product. This approach to running weekly giveaways has proven to be highly effective for Jane.com. Partnering up with relevant brands to run giveaways has given Jane.com constant access to a fresh, exciting and relevant prize pool which has allowed them to run consistently engaging giveaways which attract new audiences and drive action from them. Plus, by exchanging campaign actions for prizes Jane.com has been able to save the money that they would have otherwise had to spend on prizes. This has made running weekly giveaways a whole lot more affordable. Not only do partnerships make Jane.com's giveaways more engaging and affordable, they also help expose the campaign (and Jane.com) to huge new audiences via their partners promoting the giveaways to their own highly targeted followers. Partnering up with other brands to run giveaways has been a runaway success for Jane.com, and a lot of this success is owed to how well they have chosen their partners. As far as choosing a partner goes, we now have enough data to get a feel for what types of prizing, partners, and products will work for our customers. In choosing a partner, I always try to find brands who align well and have a similar audience. I have found that in vetting prospective partners, it is helpful to hop on a call and get a feel for their target demo and what they respond well to. If our audiences align, we've got a good match. The weekly partner campaigns have produced consistently outstanding results and became the backbone of Jane.com's giveaway strategy, but they aren't the only type of giveaways that have proven to be a hit. Jane.com also run a few special types of campaigns which keep things fresh and exciting while driving huge amounts of action. One particularly engaging type of campaign Jane.com runs are their yearly Easter Egg Hunts. These campaigns require entrants to visit different pages on Jane.com to find the answers to various questions. The more questions you answer the more likely you are to win. The Easter Egg Hunts have proven to be a massive success - with the most recent campaign driving over 500,000 actions from more than 30,000 different users! As well as being engaging, fun and excellent at building positive brand associations, these campaigns also encourage users to explore Jane.com and familiarise themselves with the marketplace. This is a terrific way for Jane.com to promote their site and expose users to an array of products and deals in an authentic and fun manner. 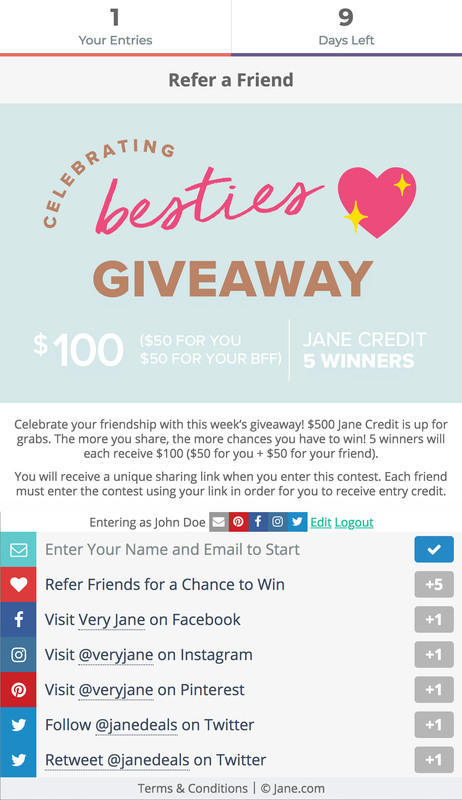 Another type of campaign Jane.com has ran on occasion are refer-a-friend giveaways. These campaigns require entrants to subscribe to Jane.com's newsletter and share the campaign with friends in order to win. Users can also complete additional actions to increase their chances of winning. These campaigns have helped Jane.com raise awareness and grow their mailing list. Two factors which are huge when your primary goal is customer acquisition. Running giveaways is an undeniably terrific way to drive action from new and existing users alike. However, if you want anyone to enter your giveaway you need to ensure that they know about it. This is where promotion comes into play. They also promote their giveaways by prominently featuring them on their website's homepage, as well as making frequent blog posts about every campaign they run. By frequently promoting their giveaways across a wide variety of channels Jane.com has been able to reach and encourage participation from a wide audience and kickstart the social sharing of their giveaways. 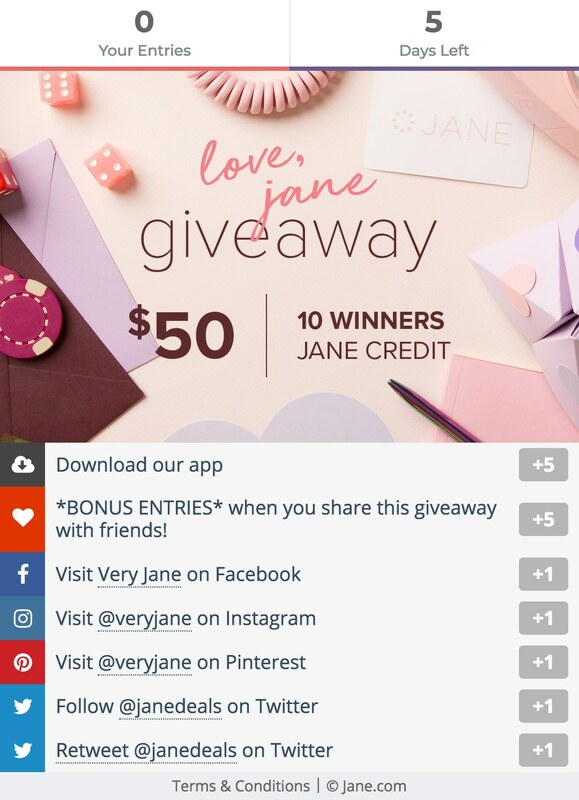 Jane.com has also been able to capitalise on their partnerships by having partner brands promote the giveaways through their own social channels. This helps expose the campaigns, as well as Jane.com, to a large, relevant audience of potential customers. We promote all of our giveaways through dedicated email, social, on-site, and blog promotion. We are always sure to create a promotional plan with our partner so they are doing the same on their side of things. Promoting your giveaways is clearly crucial, but it isn't the only type of promotional activity that you need to consider when running a giveaway. Giveaways have helped Jane.com acquire leads and generate interest in their brand, but in order for them to convert these leads and drive sales they had to continuously promote their offerings and encourage further action such as store visits and purchases. Jane.com does this by hosting sales, posting on social media about products and deals they have on offer, and of course, running more giveaways. This has allowed them to re-engage their audience in the aftermath of giveaways, solidifying participants' interest in their brand, and drive website visits and sales from users who already have a piqued interest in Jane.com and their offerings. Another follow up tactic Jane.com has had success with is a welcome email series which introduces giveaway entrants to the Jane.com marketplace and guides them towards becoming customers. These customers are uploaded to our ESP and added to a "giveaway welcome series" where they are introduced to Jane. Jane.com's weekly giveaways have played an integral role in their growth and success over the past few years. In the last two years alone Jane.com have been able to drive over 4 million actions from their giveaways! With each giveaway earning 5,000 users and driving 30-40K actions on average, it's impossible to deny the massive success that Jane.com's weekly giveaways have been. These giveaways don't just drive actions for the sake of actions either. Each campaign significantly helps Jane.com gain exposure from new users, grow their email list, increase their social media following and drive website traffic. All factors which greatly contribute to customer acquisition and revenue growth. We receive a very high number of site traffic, new to file emails and extra revenue from these campaigns. It is a great way to drive traffic to the site. These results just go to show how effective giveaways can be at driving E-commerce growth, especially when they're run on a consistent basis. Jane.com’s weekly co-branded giveaways have clearly been a runaway success, but what are the key lessons you can take away and apply to your own business? Here at Gleam we've seen a lot of people run a lot of giveaways and we can tell you that they consistently produce outstanding results. 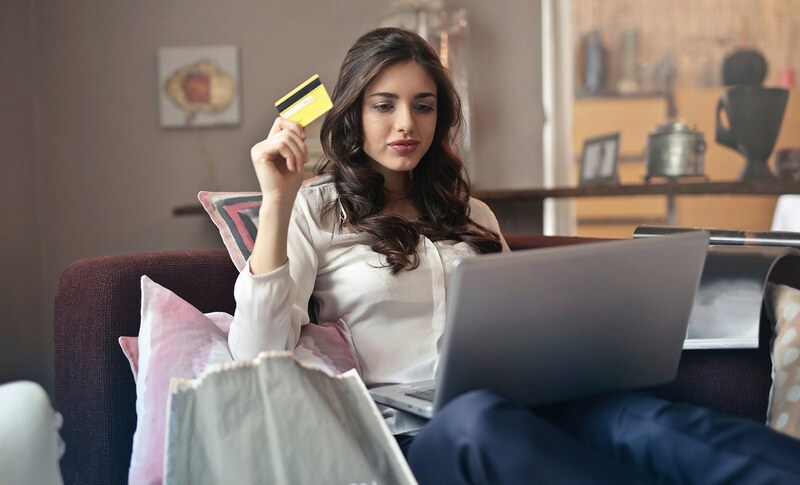 If you operate in E-commerce then running giveaways may be the best thing you can do to raise awareness, generate leads and drive powerful actions. Giveaways can easily be used to give your store an instant boost in awareness and actions, but you can also use them to drive massive growth on a consistent basis by using giveaways as an ongoing marketing strategy. This is exactly what Jane.com have done and they have been able to produce truly spectacular results, driving millions of actions over the past few years with their weekly giveaways. Jane.com may run weel;y giveaways, but you can opt to run giveaways on a weekly, fortnightly, monthly or even less frequent basis and still drive outstanding results. You do want to minimise time between campaigns though, so the less frequently you run your giveaways the longer you should keep them open for. Running regular giveaways is a strategy with tremendous upside. It allows you to constantly capture new leads and drive actions which will result in consistent customer acquisition and sales growth. Regular giveaways will also help you engage your existing customers and promote new offerings or special deals. This will allow you to stay fresh in your customers' minds, greatly enhance your customer retention and help drive more revenue from existing customers. If you're running any type of giveaway, but particularly one in a series of regular giveaways, it's a great idea to partner up with another brand. A key advantage of partnering up to run giveaways is that you will gain access to wider, more appealing prize pools without having to spend too much of your own money. Using partners to broaden your prize pool can help make regular giveaways far more affordable and more engaging. The new and exciting prizes you can offer by partnering up will help you attract diverse new audiences and keep things fresh and engaging for your existing user base who will be drawn back in by each new prize. Jane.com has used this strategy to great effect by frequently partnering up with other brands and providing them with dedicated campaign actions in exchange for a prize and promotional aid. We have found that this is what works best for us, as well as our audience. Always trying to keep things new and provide prizing that will be enticing to our customers. As well as growing your prize pool, partnering up with other brands is also a great way to cast a wider promotional net and expose your brand to new audiences by having your partner brand promote the giveaway to their own audience. This can be particularly beneficial if you are a smaller brand partnering up with a more established brand with a larger audience. When you're looking for a brand to partner up with it's important that you choose a brand with a relevant audience who are likely to take an interest in what you do, but you must be careful to avoid partnering up with any competitors. A good approach to finding a suitable partner is looking for brands who offer complementary products. For example, if you sell women's fashion you could partner up with a brand who sells beauty products. Or if you sell home-ware you can partner up with a brand who sells complementary furniture or other household items. Find out everything you need to know about using Gleam to partner up with other brands and run powerful giveaways. A great way to add an extra layer of engagement to a giveaway is by aligning it with a special event. You can align your giveaways with holidays like Easter or Christmas and capitalise on the extra attention the holiday will generate for you. This is a tactic Jane.com frequently uses, as they regularly build giveaways around specific holidays. This can be especially effective if there is a particular holiday which perfectly syncs up with your brand and product. Christmas is a safe bet for most brands, but if there's a holiday which more specifically relates to your industry it can be a perfect opportunity to host a hugely engaging giveaway. A great example of this comes from a lingerie retailer called Adore Me who used Gleam to run a Valentine's Day giveaway and were met with fantastic results. You can also align your giveaways with your own special events and promotions and use the giveaway to promote these activities. This is a great way to draw attention to sales, product launches and any other promotional campaigns you may be running. We typically try to align our giveaways with other marketing campaigns running on the site during that time. For example, we do a yearly "Kick Off to Summer" giveaway which is timed with our summer launch on site. Giveaways are meant to engage your audience, get people excited about your brand and encourage as many people as possible to complete as many actions as possible. If you want to achieve this then you should try making your giveaway as simple and fun as you can. One thing that doesn't work well with our audience is asking them to do too much effort. After all, they're trying to get something for free! Essentially, the easier you make it for users to enter your giveaway the more likely they are to do so. This is a lesson that Jane.com learned when they started to run their highly successful Easter Egg Hunt giveaways. We also found that this was the case with our annual Easter Egg Hunt giveaway. We hide eggs throughout our site with answers corresponding to a numbered question on the Gleam widget. When you enter the answer, you receive the points. Originally, we did not provide direct links to the answers. We left it up to our users to find them on their own, and we were not seeing very many entries. Then we essentially just linked directly to the answers and we saw a LOT more successful entries. It is actually one of our best performing giveaways. I think due to the fact that it is timely, fun, and not too difficult for participants to enter, we see a great response from our audience. Keep things simple and reduce barriers to entry. You don't want users to not complete actions because they were too complicated or time consuming. Running a giveaway is an incredibly effective way to acquire leads and drive social action, but if you want to convert these leads into customers then you need to continue to engage your new-found audience in the aftermath of your campaign. You can do this by posting engaging content and promoting your products on social media, putting new subscribers through an email series designed to guide users towards a sale, or running a follow-up campaign which offers discounts to incentivise immediate sales. 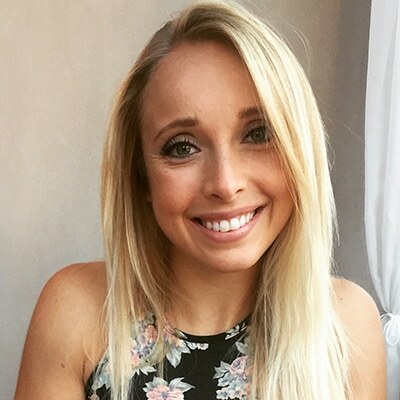 Jane.com is constantly attracting new social media followers with their giveaways and they have done a terrific job of engaging them across multiple platforms to build strong relationships and drive sales. When you run a giveaway with Gleam you can use our Viral Share action to award entries to users who successfully refer their friends to the campaign. This is a highly effective way to help your campaign gain traction and expose your brand and products to new, relevant audiences. If you want to maximise the chances of your giveaway going viral than you should definitely incorporate this action into your next campaign. 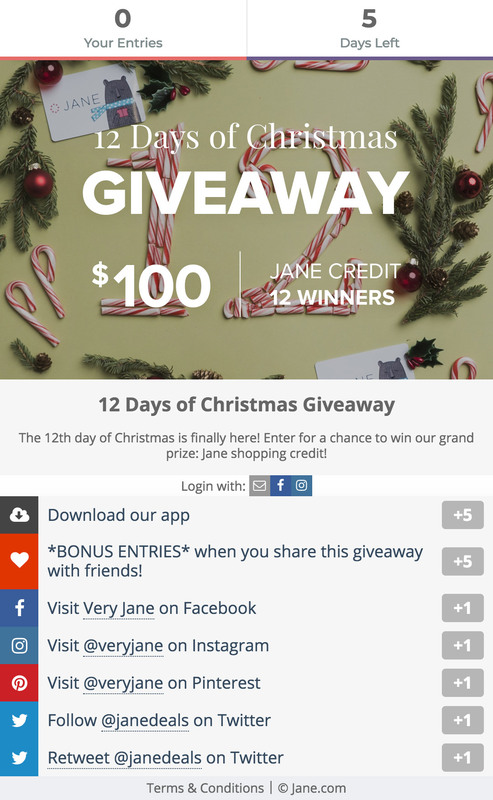 Jane.com have taken advantage of the Viral Share action in their refer a friend campaigns as well as their usual weekly giveaways and had great success. We have also found "refer a friend" competitions to be really successful... We tend to see a really high number of new to file email rates whenever we do one of these competitions. Do you want to incentivise powerful actions and drive sales with your own E-commerce giveaway? Want to start a campaign like this? Get in touch, or create an account. From YouTube to Discord, The OK Duo Is Building Organic E-Commerce Brands Through Online Communities And Giveaways. By using Gleam to create targeted popups, Saleduck were able to generate awareness, grow their mailing list and drive traffic to a major sales event. Twitch Kittens used Gleam to run back-to-back giveaways which grew their streaming community and drove views, follows, sales & much more. Color Theory used Gleam to run a giveaway which drove over 1,000 follows on Spotify and exposed his music to a new audience. An entrepreneur turned consultant, Lucy uses Gleam to help small businesses understand their customers better and increase business revenue. Adore Me Adore Me used Gleam to ramp up their sales during the Valentine's Day holiday season. Read this if you have a seasonal business. See how ESL uses Gleam for large scale eSports events. Generating 2M+ actions in 7 days at the ESL CSGO tournament in Cologne 2016. Hung & Jeff from Flyte Socks used Gleam to partner with brands & smash their Kickstarter budget by 700% in just a few short months. 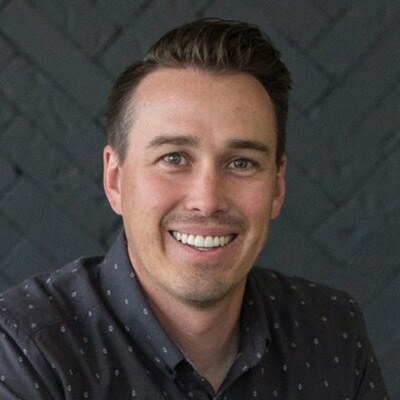 Chris from Greenbelly used Gleam to drive 4.1k new email subscribers and increase sales by 50% on a small budget of just $75. Daniel increased his email opt-ins by 1600% and generated over €200k additional revenue by adding 3 Capture forms to their site. Steve and Angela from Slyde Handboards use Gleam to help them sell products using strategies that engage their tight knit bodysurfing community. Shopify used Gleam to drive insane blog post engagement by giving away an entire business to their community. 20k+ social actions in 6 days. Daniel from NameBadge.com used Gleam to drive an extra 10% revenue increase just be implementing 1 on exit Capture, which took him 5 minutes to setup. Jackson from MakeUseOf has been using Gleam to build engaging campaigns that drive insane ROI for his advertisers. Lucy from She Shopped uses Gleam to drive insane value for her sponsors, to date she has run over 45 campaigns and going strong. Rohan from Wet Shave Club used Gleam as a core part of his marketing strategy to drive towards his goal of $100k revenue in just 6 months. Eric used Gleam to give his Beardbrand business a kickstart, they doubled their email list and grew their social footprint by 400% in just 7 days. What can we help with? Select option General Support Contact Sales Account Issues Report a Campaign Technical Issues Have you tried our Documentation area? For technical issues, be specific and include which browser/device. If you need to show us anything. Image files only, please!